An article on Emma featured on the Leicestershire County Council Chairman’s blog, original can be found by clicking here. Following on from my recent updates about the future of choral music in the area, I thought I’d share with you this news about Emma Goddard, a professional choral conductor, voice teacher and soprano soloist from Leicestershire. After being introduced to the world of choral music through Leicestershire Arts in Education, she now works with Leicester Cathedral to develop singing in schools and church choirs. 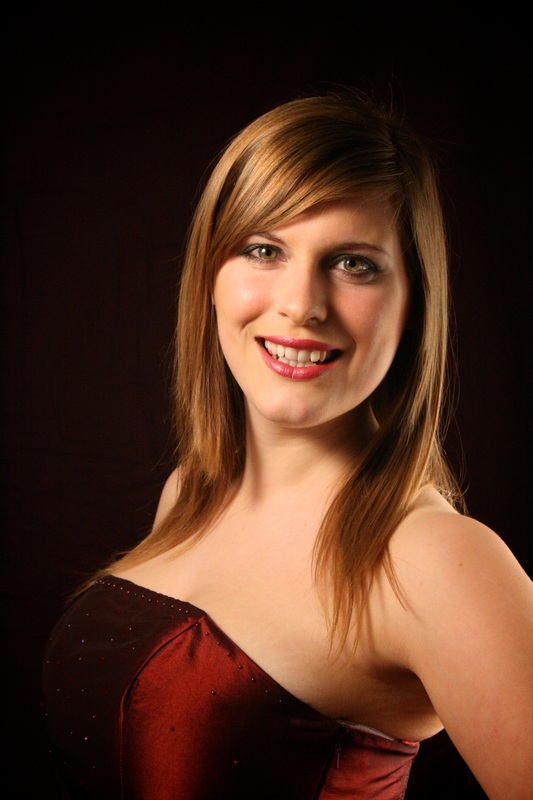 Emma graduated with a BA(hons) in Music and French in 2010 from the University of Bristol where she conducted the University Chamber Choir. She then attended the Royal Welsh College of Music and Drama, Cardiff, graduating in 2012 with an MA in Choral Conducting, having studied under Simon Halsey, Neil Ferris, Adrian Partington and Sarah Tenant-Flowers. Emma has returned to Leicestershire to work with young choirs. “Music has always been a huge part of my life, which is why so much of my childhood was spent involved in rehearsals and concerts for Leicestershire Arts in Education ensembles. I started learning violin with the service at the age of 6, and a few years later soon joined the Junior Strings, and began working my way up through the orchestras over the years. I was encouraged to try the viola when I was 13, and as it suited me better I never looked back! “In my final year of sixth form I was lead viola in the Leicestershire Schools Symphony Orchestra and the Senior Strings, which was the highest rank for a viola player in the arts service. I also took part in a national chamber music competition with the Leicestershire Arts in Education string quartet which was a fantastic opportunity. I loved going on tour with the orchestras because it strengthened the ensemble and we began to really play for each other. I even sang a solo with the LSSO on tour to the Loire Valley when I was 17, which was a great honour. “Choral singing is a major passion of mine, sparked as a young child when taking part in the Leicestershire Arts massed primary school choirs projects. I knew I wanted to be a part of the buzz of people singing together more long term, but I didn’t know quite how I would achieve it at the time. I joined the Leicestershire Arts in Education Youth Choir when I was 12 and was a committed member until I left to go to University. “I was given solos and even a conducting opportunity or two as I explored my skills as a choral leader, encouraged by Sophie Pascall. I came back a few times to work with the Junior Choir and help out at the same massed choir events which gave me a stronger sense that I definitely wanted to work in children’s singing. This entry was posted in Uncategorized on May 18, 2013 by emmatrounson. You can read all the psychological and scientific evidence you want to prove singing makes you happy, but apparently I conclude the debate. At least in the minds of a group of 9-11 year-olds in a rural North Leicestershire primary school. Singing = happiness, case closed. This is only one of ten schools which I visit for an hour a week as part of a chorister outreach programme called Diosing!. All in North Leicestershire (mostly in Loughborough) the primary schools are a mixture of C of E, Catholic and non-faith schools, with a varying ethos and ability when it comes to choral singing. My workshops include promoting healthy singing technique such as good posture, breathing, diction, dynamics (louds and softs) and overall sound quality as well as developing an understanding about a wide variety of musical genres, with lessons on music notation and the basics of sight reading. But most importantly my sessions encourage enjoyment through participation in musical activities. Possibly my favourite groups are the younger children, I am greeted by a sea of wide-eyed faces, they’re jiggling and twittering with excitement as if they’ve had too much coffee. I stand up at the front to begin the warm up and an expectant hush sweeps over the room. The children have apparently been pestering the teacher all week with questions like: “how many days until the singing lady’s coming in again” and the week has finally rolled by and its time for Diosing! again. Relaxed and upright posture established, breathing and vocal exercises accomplished, its on to the the fun warm up songs and rounds. This is when their genuine love of singing shines through and when you realise that every child is singing with all the power their little bodies can muster – each face is ablaze with sheer, unbridled joy. Hanging on every word they concentrate hard to heed my advice and each attempt improves in quality. Their efforts are rewarded with sought-after coloured star stickers and at the end of the session I announce the ‘Superstar Singer’. This is the pupil who has tried the hardest or has improved the most during the lesson – the prize is (drumroll please) a ‘Mrs Trounson’s Superstar Singer’ gold sticker!!! I often come away with amusing anecdotes and quotes such as “if a man with a high voice is a ‘Tenor’, is a man with a low voice called a ‘Fiver’?” and “Are quavers (a type of note value) named after the crisps?”. It is really heartening when children ask if they can carry on singing for the rest of the day or “I wish we could rewind and do the singing lesson all over again!” Often, I can still hear the melodies from the lesson echoing down the corridor as they disappear back to their classrooms. This forms only part of my role as a Choral Director at Leicester Cathedral. I also direct the Loughborough Children’s Choir, which I founded in September. The members are a mixture of children taking part in Diosing! and other children from around Loughborough who love singing. They meet for an hour a week at All Saint’s with Holy Trinity Parish Church and their repertoire spans a variety of genres, from church music to pop, gospel and showtunes. Again the children are encouraged to follow musical notation and exercise good vocal technique. They perform in concerts, services and events and they were particularly excited to have sang at mine and Mark’s wedding in April. Considering its short life-span the choir has become a close-knit community, with older members taking care of the younger members, indeed, quite a few of the members are actually siblings. The other part of my role is at Leicester Cathedral itself. Once or twice a week I help train the choristers and conduct or sing evensong. I often work with the Junior Girls Choir, but also with the Boy Trebles, Young Songmen and Senior Girls. I also give one-to-one or small group coaching sessions with choristers either on vocal technique or to prepare them for solos. Its an exciting time for us at Cathedral as we are preparing for the reinterment of Richard III in which the choir will play an important part next year. Media interest is already beginning to surround the choir, and an influx of new young choristers following auditions has meant its all hands on deck to train them up ready to ‘sing for the King’. I was extremely proud to see that one of our congregation was successful in these highly competitive auditions and that Sofia Tansey has joined the ranks of the Junior Girls. I’m happy to report that she is settling in and making a good impression with her attentive attitude and lovely singing voice. St. Bart’s congregation should all be very proud! Other than working for the Diocese, I am also currently the conductor of three adult choirs: Fosse Singers (Leicester-based community choir) www.fossesingers.co.uk, St Cecilia Singers (Chamber Choir based in Rushden, Northamptonshire) and Redland Green Community Chorus, Bristol. I studied at the Royal Welsh College of Music and Drama in Cardiff and graduated in June 2012 with an MA in Choral Conducting, having read Music and French at Bristol University. I am also a professional soprano and singing teacher. I am privileged to be able to see the amazing power of music touch people’s lives and every day brings new and exciting challenges. That’s why I love being ‘The Singing Lady’! This entry was posted in Uncategorized on May 12, 2013 by emmatrounson.